Best Use of a Blue Screen? Check out these great photos of the courts during the US Open Opening Night Ceremony, thanks to one of my favorite bloggers: Grand Slam Gal. 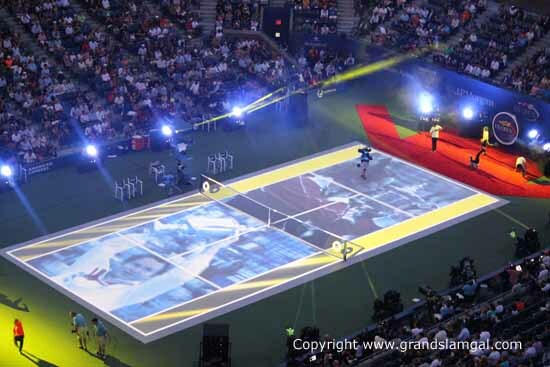 I have no idea how they lit up the courts like this, but it does look very cool, especially the videos shown on center court. To see more great photos and follow Grand Slam Gals’ final leg of her tour, check out www.grandslamgal.com! Or Bummershoot day? Okay, so the last four U.S. Opens have been extended to Monday and many times throughout the major’s 44 year history, rain has brought play to a standstill. 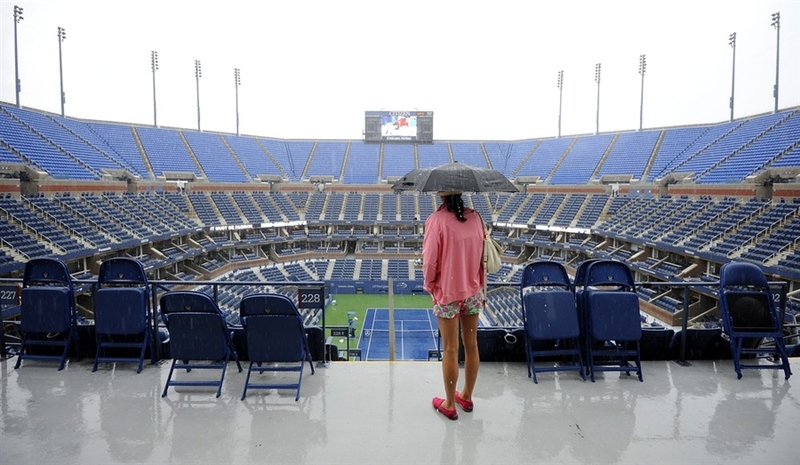 The skies above the USTA National Tennis Center in Flushing Meadows gave way to first rain delay during day one this year. Four matches were completed before play was suspended today including defending champion Samantha Stosur who quickly took Petra Martic out in 51 minutes (she must have read the weather report). 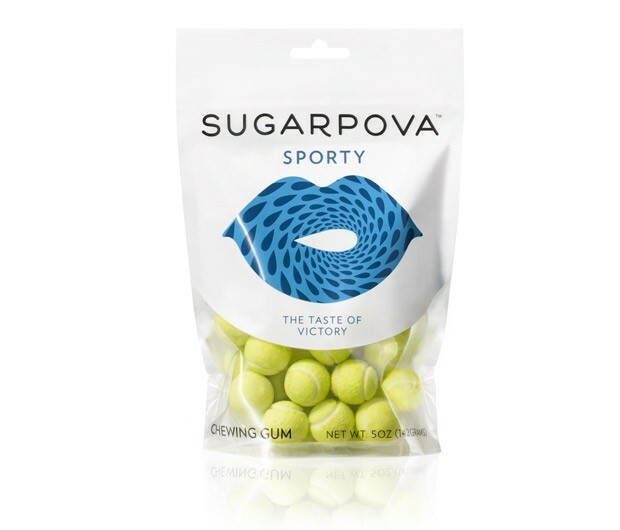 The collection, which features gummies to gumballs (in the shape of tennis balls), will be available at Fifth Avenue’s Henri Bendel and sold through worldwide outlets and respective websites, plus sugarpova.com. It will also be sold in hotel minibars — something the globetrotting Russian said she noticed was lacking in her travels. With a serious sweet tooth and a nose for how to make a buck, Sharapova knows the sweet smell of success. Finally Alexandr Dogopolov of Ukraine has won a second title! 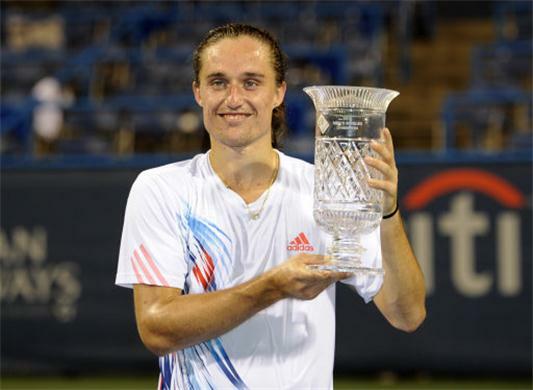 This week, Dogopolov (aka “the Dog”) beat Tommy Hass in two sets of three and twice waiting out rain delays, this week in the Citi Open held in Washington DC. The Dog previously one 2011 title for the Croatia Open UMAG beating out Marin Cilic. This kid is on his way up. ATP Rankings now have him at 16. I first watched him play Bernard Tomic in the 2011 Australian Open and knew he was someone to watch. Dogopolov has a risky and fast paced style of tennis which match his off-court “hobby” of racing cars. “I don’t think about the percentages,” said Dolgopolov. “I like to do it my way.” The Dog also said he didn’t think much about not having had a title in the last year. Instead he kept a simple mind-set and approached each match the same. Showing patience and calm demeanor, The Dog chased all the other competitors away. That’s the price paid by Djokovic in his loss today to Britain’s Andy Murray. Make that King Murray. After today’s insurance of at least a silver medal, Murray will undoubtedly find himself at the center of more attention than ever (practice that parade wave Andy)! 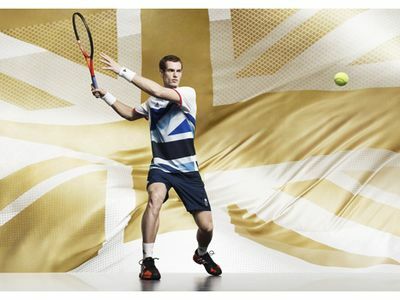 The Men’s Singles Gold Medal Finals will be at 9:00am (EST) on NBC. What’s Your Shot On It?